Nintendo of America have announced the latest content to be made available through the Wii Shop Channel, Nintendo DSi Shop and Nintendo eShop on Wii U and Nintendo 3DS. Join Alex Trebek and play as a contestant on “America’s Favorite Quiz Show!” Test your knowledge to make it to Final Jeopardy! and the coveted Winner’s Circle! Spin the wheel along with Pat Sajak and Vanna White on the virtual version of America’s Game! In Wario Land 2, Wario must steal his treasure back from the devious Captain Syrup and the Black Sugar Gang. Scavenge for coins and treasures through multiple levels surrounding Wario’s castle. Multiple paths, bonus games and creative game play await Wario as he goes on a challenging quest to find his stolen treasure. Wario Land 2 was originally released for Game Boy Color in 1999 and is now available as a Virtual Console title for the Nintendo eShop on Nintendo 3DS. 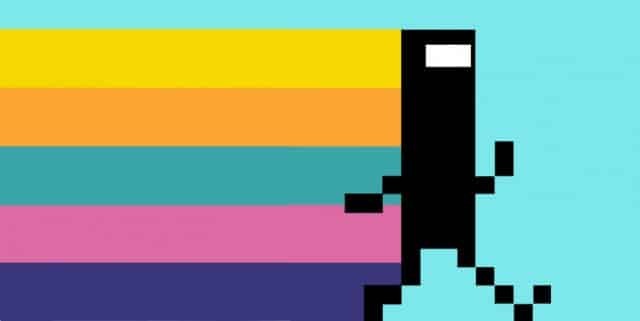 BIT.TRIP SAGA is a compilation of all 6 award-winning BIT.TRIP games: BEAT, CORE, VOID, RUNNER, FATE, and FLUX! BIT.TRIP SAGA introduces 3D functionality to the series, giving the environments radical depth. Experience the crushing difficulty of arcade-style action over a rockin’ Chiptune soundtrack and follow CommanderVideo’s journey home. Vektor has been trapped inside the CPU for what feels like an eternity and you are his only hope of escape. As he travels through the CPU, help him recover his memories and destroy the different enemy types sent to hunt him. There is a whole world to uncover within the CPU. Hiding away are 150 levels, 27 worlds and four unique abilities to unlock and upgrade. Online leaderboards allow you to compete against your friends. Use wildcards to double your score in each level and boost your ranking. Instantly jump into the multiplayer fun, locally or online, as your Mii or your favorite Mushroom Kingdom character. Discover simple touch screen controls as well as strategic depth with different tennis swings, both which propel the tennis experience into an ever-intensifying crescendo of fun as the volleys go on. Pilotwings Resort is a single player flight simulation game for Nintendo 3DS. An update of the classic Nintendo Pilotwings series, Pilotwings Resort allows for all-new adventures and challenges of your piloting skills as you engage in three means of flight: plane, rocket belt and hand glider. Each has their own distinctive controls and capabilities regarding altitude and speed. The game also allows the player to immortalize the feeling of flight by taking in-game snapshots. Players can also import their favorite Miis into the game. Imagine a picture. A simple picture. A pix art picture. Now break it down to every single pixel. That’s a colorful mess, huh? So PIX3D is about fixing that mess to reproduce a beautiful pixel art picture. It’s challenging, addictive and it piques your curiosity. With finely-tuned controls, using the stylus or Circle Pad, simple but amazing graphics and retro 8-bit music, the game introduces us to its unique world. Pokémon Rumble Blast is an all-new Pokémon adventure exclusively for Nintendo 3DS in which players battle as toy Pokémon in an imaginative world called Toyland. The game contains more than 600 Pokémon each with its own unique stats and power levels. Pokémon Rumble Blast contains two new battle modes. Players will also enjoy two-player wireless multiplayer and through the 3DS’ wireless StreetPass feature can challenge Toy Pokémon of other nearby players, and view customized Mii characters within the game. Which family will win the coveted pasture? What is the big secret that will force someone resort to illegal practices? Immerse yourself in this gripping tale of true friendship and sinister plots. Train the ranch horses, take good care of them, and prepare for the final deciding tournament. Experience riding events like show jumping and mounted archery in first-person view. Enjoy 11 mini games with tasks like longing, teaching tricks, feeding and grooming. Join Bumb, Berzerk, Speedster and Uncle Time as they run, fly, bounce, glide and break their way through the magical lands of Gnomia to fulfill their mysterious destinies. Help them save the kingdom, find a princess and collect hundreds of precious lost socks. 2 Fast 4 Gnomz features 45 levels and four playable characters. Feel the rush with two new downloadable Coin Rush course packs. The “Mystery Adventures Pack” and “Impossible Pack” are now available for purchase from the New Super Mario Bros. 2 in-game shop. It’s a real action RPG with preeminent exhilaration set inside an infinitely-extending dungeon. Sweep away the monsters wriggling in many places and get at defeating a strong boss monster lurking at the deepest portion of the dungeon. Even after the boss monster is defeated, the dungeon re-creates itself with automatic system so the player can try new games over and over. Using the skill called “Soul Capture,” the mail character can take away the magic and other skills from the monsters, as well as weapons and shields to power up. It is very exhilarating to strengthen the character combining the equipments and skills, then crushing the monsters in a sweep. It is simple, fun and very popular game series! Slide the stylus across the screen to slice snowballs into small pieces like a true Ninja warrior. The more snowballs you slice, the longer you stay around, and the longer you survive, the higher your score. How long can you last? Do you remember the war two years ago? This beautiful star, was a breathtaking Green Planet thriving with life, before it was devastated by the Empire’s army. The inhabitants refused to remain silent any longer, so they rose up and fought back. After the inhabitants won a victorious battle over the Imperial army, a new government rose to maintain peace, and the army left the planet. Dinosaur Office wraps up 2012 with a special Triassic period New Year’s party. Don’t miss a sneak preview on Nintendo Video starting Dec. 23, and the full episode beginning Christmas Day.